Keysborough Development A Lucrative Investment? A strong appetite for infill development continues with offshore buyers fuelling the demand. DTZ recently listed for sale a highly sought-after 1.418 hectare parcel of land in the fast-growing Keysborough. 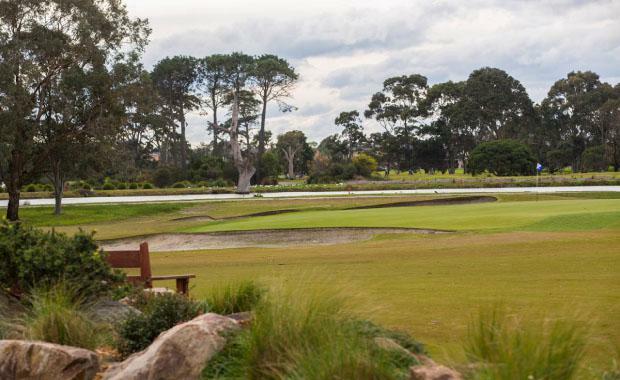 The property, located some 27 kilometres south east of Melbourne's CBD, is ideally situated near highly regarded private school, Haileybury College and is walking distance from Stringers Leisure Centre and the Southern and Keysborough Golf Clubs. The sale is being handled by DTZ’s Patrick O’ Callaghan and Richard O’Callaghan. Patrick O’Callaghan said he is still witnessing strong demand both locally and offshore for infill development sites in the Melbourne market. “This Keysborough site represents an outstanding opportunity for the astute developer to realise the value on offer here, with potential for a lucrative, high-density residential development in a locality which is well-served by an abundance of amenity and public transport,” he said. Richard O’Callaghan said the property is ideally located right next to Metricon’s prestigious ‘Elmswood’ development. “We expect to see strong competition from local and offshore developers wishing to take advantage of this rare offering,” he said. The area also enjoys a semi-rural feel, with an abundance of green and open spaces amongst the burgeoning estates and developments. This listing comes off the back of several similar infill development site sales in and around Melbourne which have been successfully conducted by DTZ recently. The Keysborough property, zoned Mixed Use under the City of Greater Dandenong Planning Scheme, offers the potential for a valuable high density development. The Public Tender for the site offered for sale by DTZ closes on Thursday 30th October 2014 at 2pm.